Parks and gardens are perhaps not the first thing one would choose to associate with Birkenhead. Instead, this town near the Mersey Estuary would more commonly be associated with the heavy industry of the industrial revolution and beyond. This said, Birkenhead is home to one of the most pioneering examples of park design of its time, nurturing ideas of recreation and leisure within the park. The designer of the park, Joseph Paxton, is much better known for his work at the Crystal Palace. 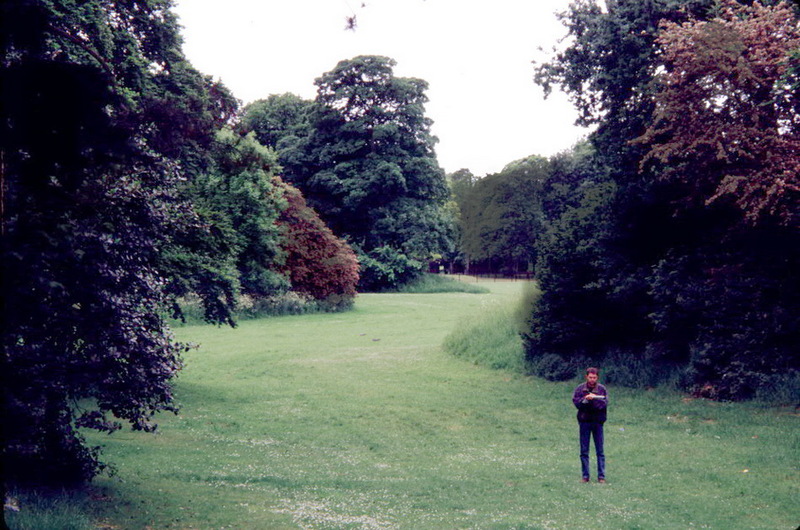 Fredrick Law Olmstead, the American landscape designer, visited Birkenhead Park in 1850 and it is recorded that he felt the park was of exceptional quality. He was so impressed by the design and layout of the Birkenhead Park that he incorporated many of its key design features into his own design for Central Park in New York. 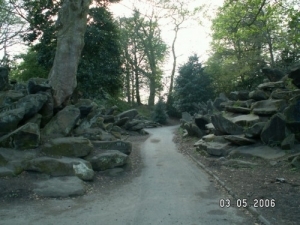 Notable features of the Park include the Grand Entrance, designed by Lewis Hornblower, and the picturesque rockery. The rockery’s rugged appearance contrasts dramatically with the much more ordered appearance of the rest of the Park. Birkenhead may be better known for industry, the Mersey Ferry and its proximity to Liverpool – but it is also the location of one of Britain’s greatest and most influential public parks! In 1847, Birkenhead Park – which is currently being restored at a cost of £11.3 million, – was Britain’s first municipally funded public park. It also inspired the design of one of the world’s most famous public spaces, Central Park in New York. Birkenhead Park reflected innovative Victorian thinking, brought about by a report by the Select Committee on Public Walks. Produced in 1833, this highlighted the need for open spaces to cater for the burgeoning populations of the U.K.’s new industrial conurbations. Birkenhead, which had just 100 residents in the early nineteenth century, was typical of these industrial towns experiencing rapid population growth. By the 1831 census there was a ten-fold increase in numbers to over 2,500 inhabitants – and again to over 8,000 in 1841. When the Birkenhead Improvement Commission was created to run the town in 1833, they were concerned to prevent the overpopulation issues that were experienced in nearby Liverpool. A public park was proposed as a means of benefiting the community. Joseph Paxton, most famously remembered for his work on the Crystal Palace, was approached by the Commission and asked to develop designs for the park. His brief was to create an idealised rural haven amidst Birkenhead’s ever expanding urban sprawl. This was a daunting prospect for Paxton, as the site was then a mixture of fields, marsh and common. Paxton submitted his designs in autumn 1844, these showed the shape of the park and its main features. It was suggested that whilst the majority of the land would be dedicated to the park, 32 plots around its periphery would be sold for private development. With a suggested minimum rent for the plots, it was intended that they would provide some additional income to the park. Once the main layout had been established, Edward Kemp, one of Paxton’s assistants from his own property in Chatsworth, was given the task of designing planting schemes for the area. Garden structures were designed by young Liverpool architect Lewis Hornblower. During the winter of 1844-5, he submitted proposals for a Boathouse on the lower lake, park railings and gates and also for bridges across the lakes. By far the most important design, however, was the park’s grand entrance. Initial proposals were rejected by Paxton, who felt that they were much to elaborate and did not fit with the park’s other, rural style structures. The designs were altered to produce the Grand Entrance that can be seen today on the east of the park. Seven lodges were also constructed at various entrance points around the park’s perimeter, in various architectural styles, such as Gothic and Italian. Various sporting activities have taken place within the park throughout its history. The cricket club, founded in 1846, is still based here and is the longest running sport based in the park. In the 21st century a wide range of activities take place on a regular basis, including Birkenhead Park Rugby Union Football Club and regular walking clubs. Free guided tours are run every Wednesday highlighting the various features of the park that are currently being restored and refurbished. The restoration project is aimed at bringing many of the park’s original features back to their original condition. These include the Swiss Bridge, the Roman Boathouse and some of the gates and railings. Various events throughout the year. Email for details.